Colombier Castle was first built in the 11th century as a fortified tower over the ruins of a large Roman villa. It expanded in the 13th Century and by the 16th century had reached its present appearance. 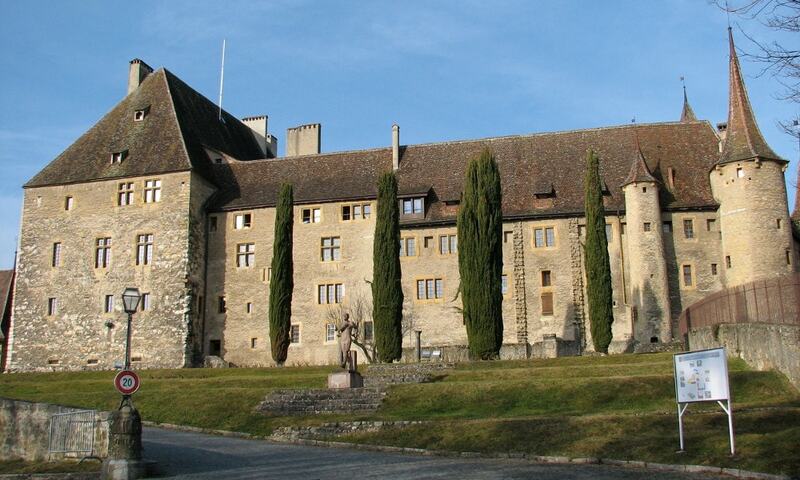 In 1806, Colombier Castle was converted into a military hospital. Starting in 1824 it was used by the Federal militias as a parade ground and was converted into barracks and given an expanded arsenal. Nowadays, the barracks became an infantry training center.